Just because your child’s primary teeth (also known as baby teeth), will eventually fall out, does not mean they’re not important! These teeth are critical to your child’s health and development. They assist in the development of permanent teeth by saving space for them in the jaw. When a baby tooth is lost too early, the permanent teeth can drift into the empty space and make it difficult for other adult teeth to find room when they come in. Baby teeth also help your child maintain good nutrition by permitting him/her to chew properly. They help children feel good about their smile and their appearance. Dental decay can happen at any age, so be sure to visit the dentist within 6 months of your child’s first tooth appearing and definitely by age 1. 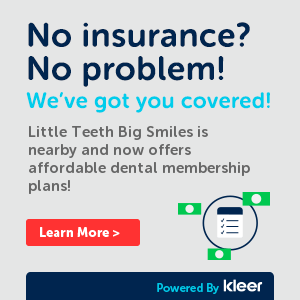 Our team will check for cavities and any other pediatric dental problem, as well as show you how to clean your child’s teeth properly and handle any habits like thumb sucking or pacifier habits. Baby teeth can get cavities just like adult teeth. In addition to the pain caused by a cavity, young children can develop dental infections. Tooth decay is a serious, infectious, and transmissible disease that can spread quickly and lead to infection or abscess. If a tooth becomes infected and needs to be extracted, your dentist will recommend inserting a space maintainer. If the space is not preserved, other teeth may drift, causing difficult-to-treat crowding and orthodontic problems when adult teeth come in. 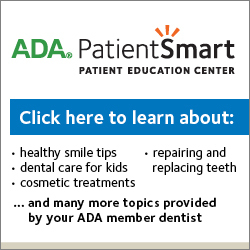 Start early in showing your child how to take care of their teeth. Early on, your child should develop the habit of brushing and flossing that will carry into adulthood.